Mr Abbott’s envoy role requires him to find ways to improve remote school attendance and performance. This week, he visited the remote communities of Warruwi and Galiwin'ku to discuss these aims. 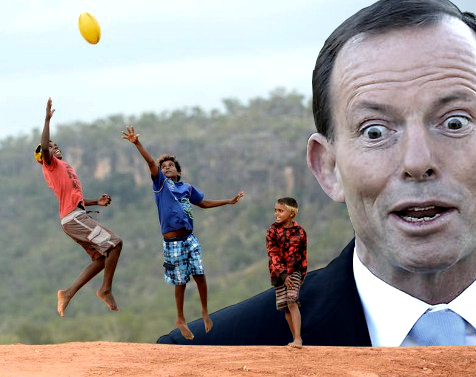 Mr Abbott told Sydney radio station 2GB he wanted children in remote communities to attend school every day. “The outcome has got to be that at the end of their schooling they can read, write, count, think and function tolerably well in modern Australia as well as in remote communities,” he said. “Because we've got to give people the choice. However, NT Aboriginal Affairs Minister Ken Vowles, a Wakaya/Waramunga man, criticised the visit. “[Mr Abbott] hasn't bothered to meet with me as Aboriginal Affairs Minister and I'm pretty offended and disgusted by that,” he said. “It's about keeping him busy, give him some extra coin, give him a special title. In the town of in Borroloola, many community members felt underwhelmed at Mr Abbott’s ideas. “He didn't want to sit down and listen to us, he just wanted to get up and go,” parent and school council member Gadrian Hoosan told the ABC. “We told him we didn't want him coming around here brainwashing our kids… he got pissed off because we all jumped down, we all jammed him from every corner. Borroloola elder Jack Green said many were unhappy with Mr Abbott's view that Aboriginal children should be taught English. “It's not good because our kids need to be trained, our law and our culture, it's very important for Aboriginal people to keep our knowledge and our laws together,” he said.